Can exercise raise survival for people with lung cancer or even help prevent it? It’s hard not to hear about the benefits of exercise these days. Open a magazine, turn on the TV, or watch runners on the sidewalk as you drive by—and it’s clear that we are paying attention to fitness. Lung cancer is no exception. Being physically active not only helps prevent lung cancer in the first place, but it appears to improve survival and quality of life for those already diagnosed. Let's take a look at what the studies are finding. But since simply talking about exercise and physical activity does nothing for someone with lung cancer, let's also talk about some simple ways in which you can increase your level of physical activity, and possibly even your outcome. Studies are finding that physical activity is linked with a lower risk of developing lung cancer, as well as many other cancers. With lung cancer, the benefit doesn't seem to be isolated to any one group of people. Both men and women, smokers, former smokers, and never smokers, all benefit from exercise. Best of all, the exercise level needed to make a difference does not require hours a day or a pricey health club membership. Even gardening two times a week has been associated with a reduced risk. Overall, people who are physically active appear to have roughly a 20 percent reduced risk of developing lung cancer. For both sexes, exercise appears to reduce the risk of death from lung cancer, although the benefits seem greater in women. To get an idea how significant this is, think of the treatments you may currently be coping with for lung cancer. Certainly, you want to continue these conventional treatments as well, but exercise is, in a way, a method for improving survival, but with a positive effect on your overall well-being rather than side effects. Physical activity appears to improve quality of life for those with cancer in general. It also has been found to decrease cancer-related fatigue, one of the most distressing symptoms for many with cancer. Other positive benefits noted in lung cancer survivors who exercised included a reduction in anxiety, better self-esteem, an improved body composition, and better sleep. Keep in mind that exercise may act through some of these additional benefits to further improve survival. For example, insomnia in lung cancer patients may reduce survival, and exercise is one way to help. 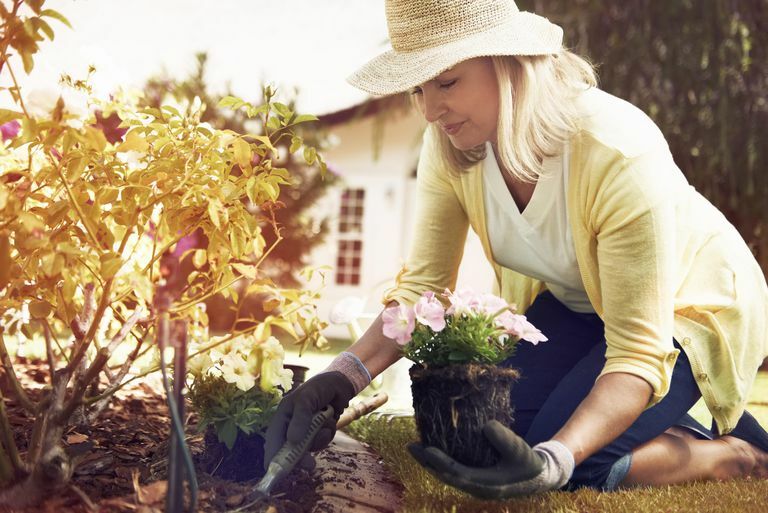 As noted earlier, the amount of physical activity needed to reduce the risk of lung cancer—and improve survival and quality of life—can be as simple as gardening a few times per week. Too many of us fail in our intentions to exercise because we set our goals too high. This can be harder yet for those coping with cancer fatigue. What are a few simple things we can do to add physical activity to our days? Plant a garden. Gardening can actually have multiple benefits. Not only does growing beautiful flowers help us think more positively with cancer, but if you grow a few of the foods that can foods that can fight lung cancer, you can do double or triple duty with this activity. Dance to the radio. Again you can do double duty with music. Music therapy appears to help with pain and shortness of breath with lung cancer and can add an extra punch to your dancing exercise routine. Sign up for a yoga class. Yoga also appears to increase natural killer cells (a type of white blood cell) that feast on cancer cells. Purchase a pedometer, and set a goal of a certain number of steps daily. If you do this along with someone else it can become even more effective, as you not only have someone to be accountable to, but it can add a healthy dose of competition. Park as far as possible from your destination. Walk around an art gallery or museum. Most discussions about exercise bring up diet as well, and this is no exception. If you are looking for ways to reduce your risk, check out this list of superfoods that may lower lung cancer risk. If you're living with lung cancer today, check out these lung cancer fighting foods that may benefit you during treatment. And finally, there are other things you can do to improve your survival — some that your doctor may never mention, such as staying connected with family and friends and finding new friends among the lung cancer community for starters. Leitzmann, M., Powers, H., Anderson, A. et al. European Code Against Cancer 4th Edition: Physical Activity and Cancer. Cancer Epidemiology. 2015. 39 Suppl 1:S46-55.